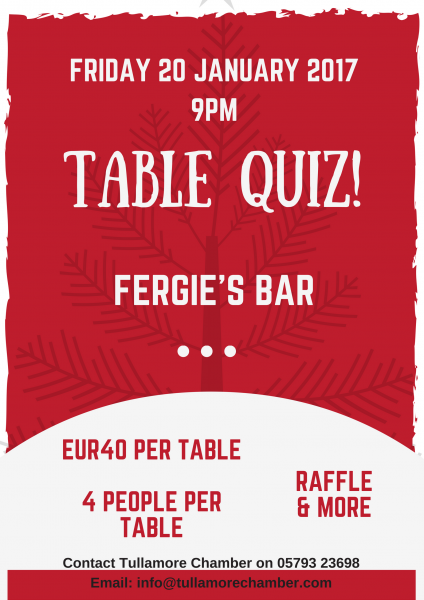 Table Quiz to be held in Fergie's Bar. So come on out for a great night and support the Town for its Christmas Festivities and lets get the Town lit up! It is 4 person per table at €40 per table with great prizes.